Last night Mark and I enjoyed a class taught by Michelle Thornell at the University of Utah Sugarhouse Health Center. Michelle gave us strategies to keep us from feeling exhausted, out of balance and susceptible to winter colds and flu. She provided nine tips to increase our enjoyment during this special time of year, which I thought were worth sharing in summary with you. Simplify and commit to less. Choose to participate only in those holiday activities that hold meaning and joy for you and your loved ones. Do one thing at a time. Give yourself the joy of focused attention. Communicate consciously. Before you speak, think. Ask yourself, is what I’m about to say true, helpful, important, necessary and kind. Maintain a restful sleep routine. You’ll feel better and be able to accomplish more as you cultivate a sleep routine. When you find yourself pushing too hard, or overdoing any activity, stop and rest. Besides sleep, the best rest is the deep relaxation provided by meditation. Eat warm, soothing foods. When the weather is cold, limit your intake of dry and raw items such as nuts, chips, and uncooked vegetables, which all tend to aggravate the body’s nervous system and digestion. Don’t skip meals while holiday shopping. Skipping meals aggravates the body and mind, so stick with regular mealtimes. Exhale your stress. In stressful situations we have an unconscious tendency to breathe shallowly, which only increases anxiety in our mind and body. Diaphragmatic breathing utilizes deep relaxing breaths to release stress and toxins from the body. Nurture your senses with aromatherapy and essentials oils. In your home or office, use soothing scents such as orange, lavender, sandalwood, vanilla, orange, basil, or clove. Michelle gave us eleven meditation exercises and taught us diaphragmatic breathing. We practice by placing one hand on our belly and the other on our chest making sure that our hand on our belly was the one moving. “Diaphragmatic breathing is the act of breathing done by expanding one’s belly and thereby allowing the diaphragm to move down, creating more room for the lungs to expand. Practice this several times each day and you will then have it available in a stressful situation. This simple technique can slow and even stop the fight–or-flight response.” Reference: http://www.ChopraTeachers.com/ZenSoldier. This timely information is a great reminder of how to destress and enjoy the holiday season. For decades, Decoration Day was observed on May 30. Businesses closed their doors to honor and decorate the graves of the American soldiers who had lost their lives in battle. It wasn’t until 1971 when the Uniform Monday Holiday Act passed, declaring Memorial Day to be observed on the last Monday in May in order to create a three-day weekend to honor our fallen soldiers. While the federal holiday isn’t about the start of summer, it has evolved into that over the past forty-five years. May is also the month of graduation for many students and for many more it’s the end of a school year which adds to the excitement for the beginning of summer. The anticipation for summer activities and vacation brings some level of stress to most families and when you have a family member with special needs, the anxiety level may increase. Physical, mental and financial limitations can bring disappointment and frustrations when family time doesn’t work out the way we’d hoped. Often the demands and responsibilities weigh heavily on just one person. Possibly without even realizing it, all of the caregiver’s attention and energy is directed on the one person who seems to have the most needs. However, as Christine reminded us in Laura’s Story, Part 7, there are others who need our care and devotion. As a caregiver, how can you meet the needs of the one with disabilities and not neglect your other loved ones? It’s a very difficult balancing act. My children had a wise elementary school counselor who was concerned about their needs not being met after our tragic car accident. She recommended I spend some one-on-one time with each child weekly. Following her advice, I took turns taking one child out for ice-cream, bowling or some other activity while the other child stayed home with Mark for an hour or two. At the time, it seemed like a lot of effort on my part, not because I didn’t want to be with them, but I worried about Mark and the child left at home. Although I regret not being able to be more carefree with my children, I treasure the memories of the one-on-one time I spent with them. In Laura’s Story, Part 6, Christine reminisces about their trip to Disneyland and another fun day at the local amusement park, Lagoon. This article reminded me of the importance of taking time to play with our families. As a caregiver it’s easy to feel like you don’t have the time or the money to do so. However, good memories are important for building a strong family, one that can withstand hardships. Including Mark, even with his limitations, we tried to continue our summer traditions of barbeques, camping, roasting marshmallows over a campfire and a summer day trip to Lagoon with our kids. We also took a few extended trips over the years to Washington and Arkansas to visit parents, sisters and grandparents. Every outing was much harder and required more planning with Mark’s disabilities. I remember the stress of preparing to leave the house and feeling like my energy was completely drained when returning home from these family activities. However, my efforts are rewarded by good memories that far out-weigh the difficulties. Now that our kids are grown, I cherish those times more than I thought possible. I now realize the benefits of taking a break from our everyday responsibilities and the impact it had on our family’s well-being. Memorial Weekend is more than looking forward to the start of summer and creating family memories. It’s a time to remember those who gave the ultimate gift. In their honor we should pursue peace and happiness. There is no better place to start than within our own families and building meaningful experiences. Thank you to all the American military who died in wars fought for our freedoms so we could have a better today and tomorrow. Please feel free to add any soldier remembrances or ways you’ve created worthwhile family memories. 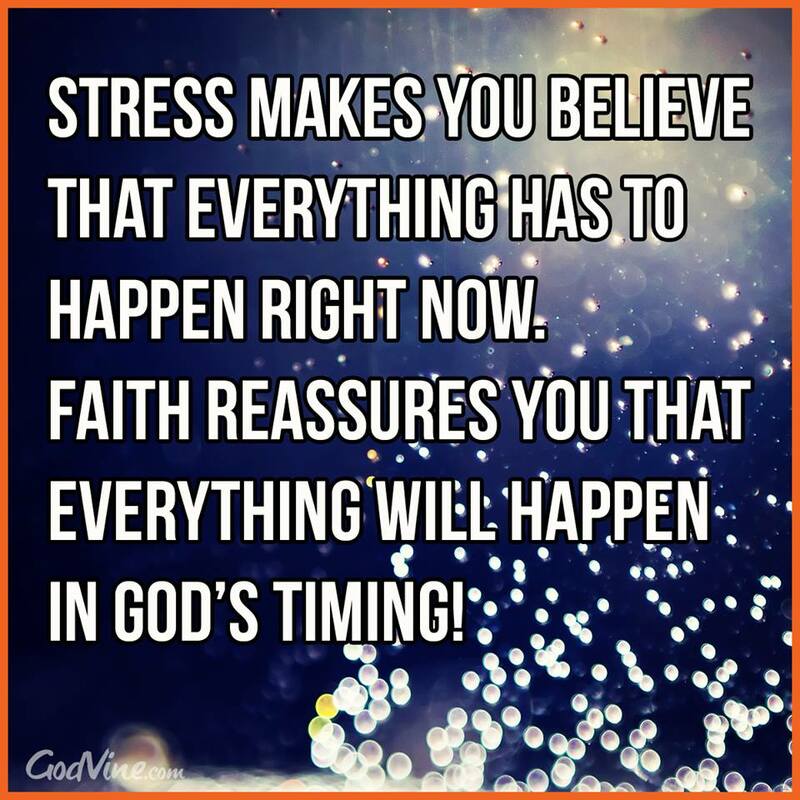 Sometimes it’s hard to take a deep breath, relax and have faith.